A night on the town is just calling for a limousine, wouldn’t you agree? What better way to get the night off to a flying start and have it end with such wonder. For this night on the town, you will be making a statement and a bold one at that. A sure way to guarantee a good night out. Forget what has happened in the past and don’t worry about what is to come in the future. All there is, is here and now, and what better way to be present tonight then with a lavish limo from Mandurah Limousines. Cause a scene, have people envy you, turn heads, drop draws and live it up. 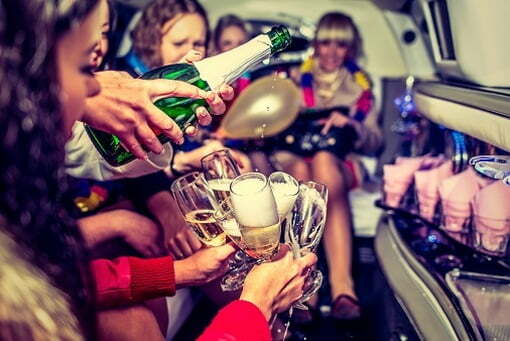 The town is about to be in for a surprise as you come rolling in with our ravishing limo hire service. Forget designated driving, parking and everything else mundane. Let your hair down as you remove the need for designated driver and allow everyone to enjoy themselves as much as they want. Make it a night to remember. We will pick you up and take you to your destination and reverse the process after it is all done. With such comfort and class, tonight will be magical. Let our experienced drivers whisk you away. Fill out the instant quote form or call us to make you limo booking on 08 9468 7277.